Augmented Reality Bouldering – Let ém Play! Let ’em Play brings you the latest Augmented Reality (AR) technology from Finland. 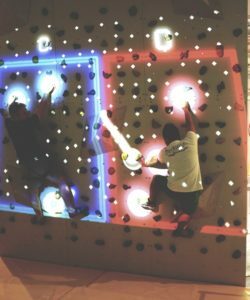 This climbing wall combines in-depth knowledge of computer vision, exercise and user experience together with rock-climbing and fun. 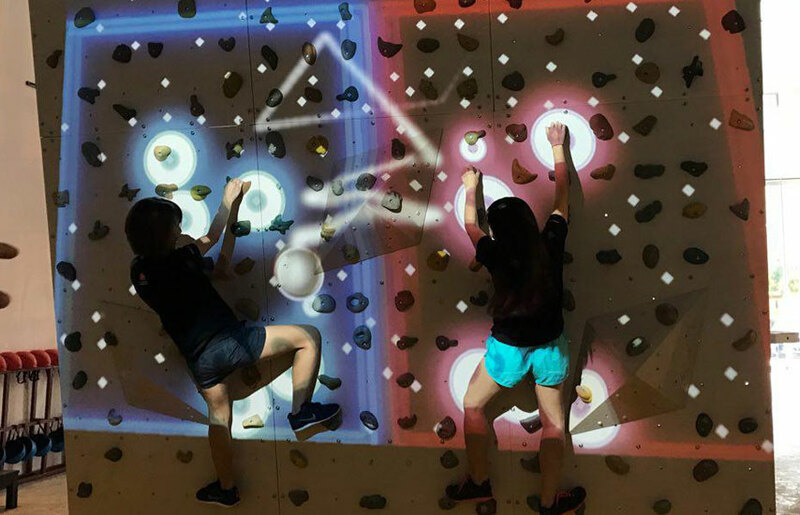 Through projected graphics and proprietary body tracking, we create various interactive and competitive games to enhance your climbing experience. Augmented Reality Climbing is the world’s first global gaming platform for climbing walls. The AR wall is suitable for any skill level and age, we even encourage you to come with your friends and family to challenge them for a friendly game of ‘pinball’ on the rock wall! Singapore has not seen anything like this before! It has been one of the hottest trends on social media of late and we (Let ém Play by The WOW Experience) are making it available to you here in Singapore!